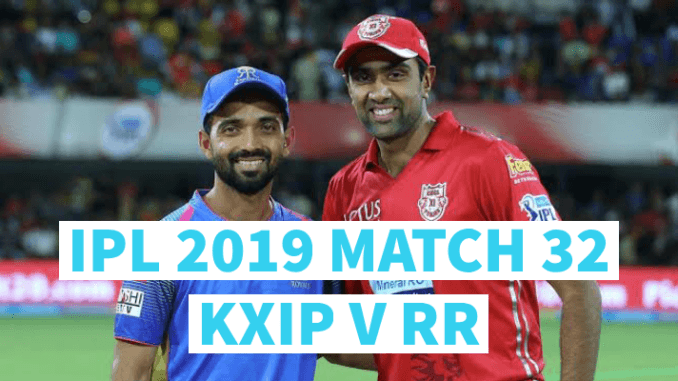 The last when both Kings XI Punjab and Rajasthan Royals met, Ravichandran Ashwin mankading Jos Buttler controversy took over the limelight. Both teams head into their second match of the season on Tuesday with nothing in mind except a win. Both teams currently are placed in the bottom of the table, win will totally boost their play off chances. Ravi Ashwin (C), Chris Gayle, KL Rahul, Karun Nair, Mayank Agarwal, Mandeep Singh, David Miller, Sarfraz Khan, Moises Henriques, Harpreet Brar, Sam Curran, Varun Chakravarthi, PrabhSimran Singh, Nicolas Pooran, Mujeeb ur Rahman, Murugan Ashwin, Mohammad Shami, Andrew Tye, Hardus Viljoen, Ankit Rajpoot, Arshdeep Singh, Darshan Nalkande and Agnivesh Ayachi. Possible Playing 11: Chris Gayle, KL Rahul(WK), Mayank Agarwal, Sarfaraz Khan, Mandeep Singh, Sam Curran, Ravi Ashwin (C), Mohammad Shami, Mujeeb ur Rahman, Arshdeep Singh and Ankit Rajpoot. Ajinkya Rahane(C), Steve Smith, Jos Buttler, Sanju Samson, Ben Stokes, Ashton Turner, Liam Livingstone, Prashant Chopra, Shashank Singh, Shubham Ranjane, Mahipal Lomror, Riyan Parag, Jofra Archer, Manan Vohra, Aryaman Birla, Rahul Tripathi, Stuart Binny, Shreyas Gopal, Krishnappa Gowtham, Ish Sodhi, Jaydev Unadkat, Dhawal Kulkarni, Varun Aaron, Oshane Thomas and S. Midhun. Possible Playing 11: Jos Buttler(WK), Ajinkya Rahane(C), Sanju Samson, Steve Smith, Ben Stokes, Rahul Tripathi, Krishnappa Gowtham, Jofra Archer, Shreyas Gopal, Dhawal Kulkarni and Jaydev Unadkat.